IE Business School - International MBA | SPEAKING UP, WOMEN IN MEDIA. SPEAKING UP, WOMEN IN MEDIA. 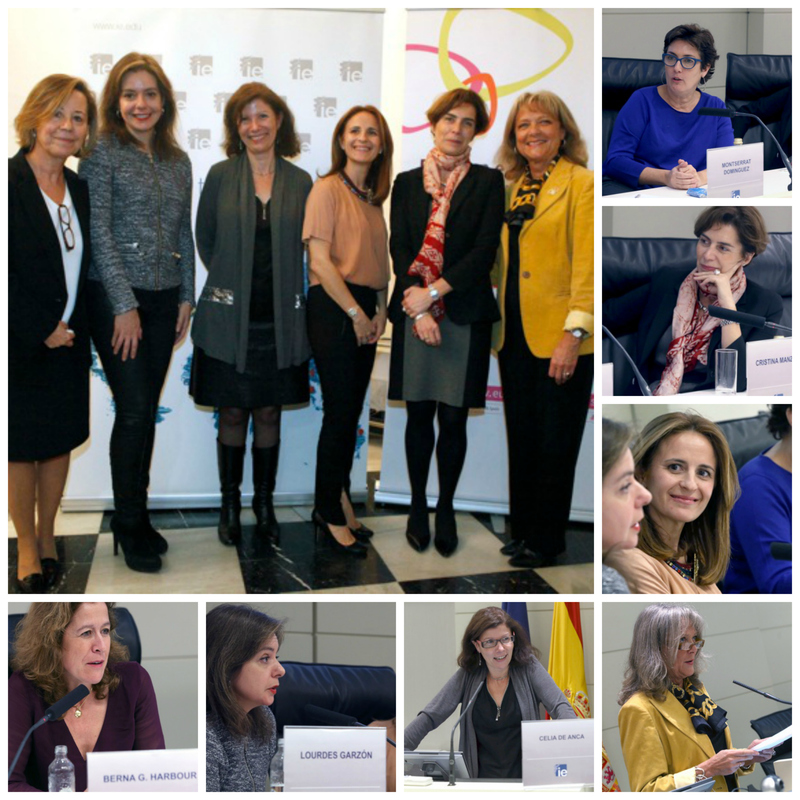 The Professional Women’s Network (PWN) and IE Diversity Center organized a round table discussion hosted by Rose Marie Losier and Celia de Anca and moderated by Yolanda Regodón. The focus was on analyzing the equality of women in media. In this industry, the landscape is more or less the same as in the other industries: Women are the vast majority in newspaper and television network newsrooms, but they represent only 9% of executive positions and hold even fewer roles at the top decision-making level. Nevertheless, these figures require extra thought in reference to this industry since the media and the role models it produces are key to shaping the public opinion about gender roles in our society. This is why I found this debate tremendously relevant, especially when taking into account the round table guests’ experiences and track records. Montserrat Dominguez, Editorial Director at Huffington Post, Lourdes Garzón, Director of Vanity Fair, Berna G. Harbour, Editor of Babelia, and Cristina Manzano, Director of Esglobal all command our respect. The debate was opened with a simple phrase that requires deep reflection: “You can´t be what you can´t see.” It had different interpretations among the participants: some explained it as alluding to the extra difficulties women face when reaching the top, and others interpreted it as suggesting that women lack interest in reaching the top. I think the second interpretation is especially pertinent for the 21st century as it is currently socially accepted that women have the “right to choose” how to combine their personal and professional lives, but men only have one option. Should we start to think about men´s right to choose? This topic is strongly related to another idea very often argued in these forums: the challenge of balancing family life with professional schedules. When talking about women and leadership, I think this approach is tricky in two aspects. The nuances of this quandary became obvious during the debate when one of the round table members said “ I have to leave” when she just heard about the sudden and unexpected resignation of Minister Ana Mato. Probably, she had to get back to work to cover this important issue and review the front page of the newspaper. We could not decide whether to celebrate the advancements or to mourn the patent inequality that still face professional women today, when Montserrat Dominguez mentioned the illusion that Dr. Madrazo reveals in his thesis. He talks about the unexpected growth in the Spanish female workforce between 1996 and 2008. His research relates this growth to the positive impact of affordable domestic help offered by an unprecedented large number of immigrants entering Spain during this period of time. But is this real advancement? What was obvious is the importance of making an extra effort to break the routines and trends by using media to promote topics that appeal to women, by demanding the “role model makers” like Getty Images change women and men stereotyping, by looking for balanced teams of opinion makers, and by making an extra effort to guarantee feminine presence among experts and members of talk shows. The simple action of asking for an “experta” instead of an “experto” can change things faster. Bravo to PWN and IE diversity Center for presenting us with such a fruitful and relevant discussion from these four role models in the area of women leadership!